Paarhammer has introduced a new range of bushfire safe windows and doors into the Australian market, helping architects and builders achieve bushfire safety without compromise. Whether your design calls for a contemporary coastal lifestyle, an idyllic bush setting or bringing a historic rural abode into the 21st century, complying with new bushfire safety regulations has just become easier. Paarhammer Bushfire Safe windows and doors make it possible to combine aesthetics and design freedom with safety in the highest bushfire prone areas. Tested and approved for all Bushfire Attack Levels (BALs) up to and including BAL-FZ without shutters, the Bushfire Safe range is also compliant with the relevant Australian Standards AS3959-2009, AS1530.8.1, and AS1530.8.2. Paarhammer Bushfire Safe windows and doors give peace of mind without compromising their highest energy rating in Australia. Available products include tilt & turn windows, fixed windows, hinged doors, French doors and sliding doors for BAL-FZ, as well as bi-fold doors for lower bushfire ratings. Outstanding quality, security features and design flexibility ensure architects, developers and homeowners achieve superior results. Bushfire Safe windows and doors are made from selected FSC (Forest Stewardship Council) certified Manilkara Bidentata timbers. In BAL-FZ this is combined with Schott Pyranova Glass. Intumescent layers on one pane of the double glazed unit act like a heat blanket in case of fire. BAL-40 products feature Viridian PyroGuard40 as part of double glazed units. Problem solving and innovation are hallmarks of Paarhammer windows and doors. 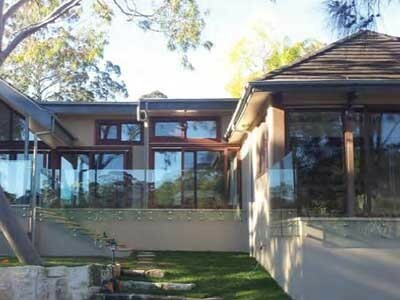 So it is not surprising that the company was the first to introduce bushfire safe windows to Australia. BAL-FZ products are protected by a patent. Paarhammer Flame Zone products have been recognised at the Victorian Fire Awareness Awards by the Department of Sustainability, and received the Australian Windows Association ‘Most Innovative Window and Door System’ award 2012. Paarhammer offers a full suite of compliant Bushfire Safe products from BAL-29 and BAL-40, to BAL-FZ. Simulating the highest level of bushfires, BAL-FZ windows and doors have been tested to withstand gruelling temperatures that exceed 850 degrees for 30 minutes. After a 1-hour cool down period, the test showed no signs of the raging fire and heat on the inside of the windows and doors. These independent tests, conducted by NATA-accredited Exova Warrington fire, showed weather seals, and tilt & turn, sliding and locking operations in perfect working order after the tests were completed. The tests also showed that radiated heat through the windows and doors did not exceed 6kW, which is less than half of the 15kW allowed by the Australian Standard. This resulted in Paarhammer fire safety products becoming the first to achieve the relevant Australian Standards AS3959-2009, AS1530.8.1 (BAL-40) and AS1530.8.2 (BAL-FZ).